After reading my guide, you will definitely increase your win rate on Bounty. I highly recommend you play with your friends and have a great team comp. Three key factors about winning: Team comp, knowledge of the maps, and positioning. I will talk in-depth about each part now!. Let’s start with team comp, team comps are more important than skills. 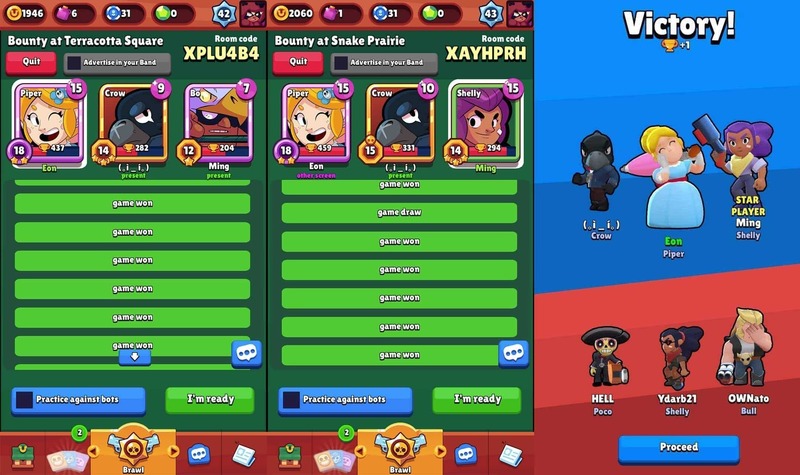 Don’t pick Jessie, Nita, and Poco and expecting a win. After years of dedicated study, I figured the team comp for Bounty! This is by far the best team comp, counters every other team comps, they’re long range advantages gives them easy kill and can keep a distance away from the enemy by using supers. This team comp requires a bit skill, aiming and kiting are the key to success. After master it, trophies should be no problem. This comp works well at certain maps, one with bushes and rocks are preferred. This kind of maps allows them to sneak into the enemy, and get free kills. The problem is that these are all short range, would be problematic against long ranges. Ok, I know two epics and one legendary are kinda hard to f2p players. So this budget comp also works. It’s not as good as the first one is because that their attacks are easier to dodge, and supers are weaker. Don’t pick these at Bounty. As far as a good comp goes, these should never be played at Bounty! Bounty has seven different maps. It’s easier to win if you know the maps well. There are two kinds of maps, I will just call them open and sneaky. Open Map: area with fewer bushes and rocks. Contains Temple Ruins, Shooting Star, Star Gulch, Cabbage Path. Sneaky Map: Consists ton of bushes and rockets. Contains Outlaw Camp, Snake Prairie, Terracotta Square. Check what’s the map before actual playing and pick the right comp for it. As you can easily see, open maps are good for long-range comps, while sneaky is better for melee comps. Use brush advantages, surprise abuse always works. I’m not saying long-range comps are completely unplayable at sneaky maps, but only if you do remember to bring brawlers that can destroy terrains. After the bushes and walls are destroyed, you can turn disadvantage maps into your favor, without places to hide, long-range can always come out on top. 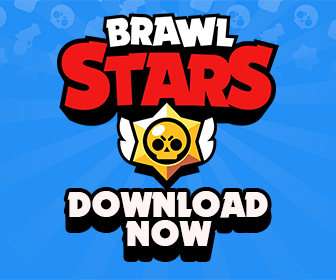 Read more about Brawl Stars Maps at here. I’ll use two maps and my favorite comp as the example! Try to use the best comp if you can, simply the best with no way to counter. (Melee-Burst might be a bit difficult). If you are lucky enough to get the comp, here how you should play. Crow should keep poison on the enemy every second, it gives out the enemy position, a great advantage in sneaky maps. You should play Crow like a ritual sacrifice, the enemy only gets one star when they kill you, but you get two when you revenge. You can decide if it’s worth it, and your teammates can clean up the kills. If that’s not the case, you should just poke them down and wait for Piper to clean it up. 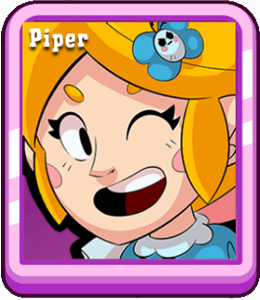 If you are Piper, just play safe, and practice your aim, it’s an OP brawler atm, should be easy to climb. Bo is actually swappable, its long-range and ult can zone out the enemy, if you are good enough, Bo is actually not bad at 1v1. My name in game is (｡ì _ í｡) #PPCPY9. Hope this guide helped you, and thanks for reading! Hello! Nice guide! This is a sister site to CRA right?